Your immune system works around-the-clock to keep you from getting sick‚ but it’s not always successful. Whether you’re dealing with a simple cold or a chronic condition‚ you can end up feeling fatigued as your immune system battles foreign invaders. Getting plenty of rest is important‚ along with taking any medications your doctor prescribes. If traditional treatment methods aren’t proving effective enough‚ talk to your doctor about trying alternative Traditional Chinese Medicine (TCM); this ancient practice involves using herbs to help restore the natural flow of energy (qi) that moves through your body. In TCM‚ diseases and other ailments are believed to occur when this flow is disrupted in certain areas of your body. 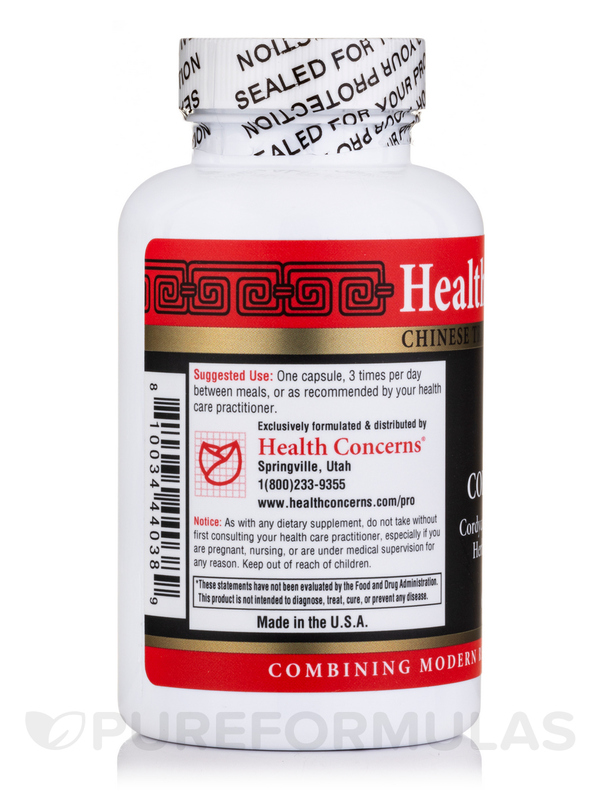 CordySeng by Health Concerns provides you with a powerful combination of herbs traditionally used in TCM to help boost immunity and relieve fatigue. This blend of natural ingredients may naturally restore energy‚ especially in the areas around your lungs‚ stomach‚ kidneys‚ and spleen. It’s important to continue following your doctor’s orders while taking this supplement. CordySeng isn’t supposed to be a substitute for prescription medications and other forms of conventional medical treatment. 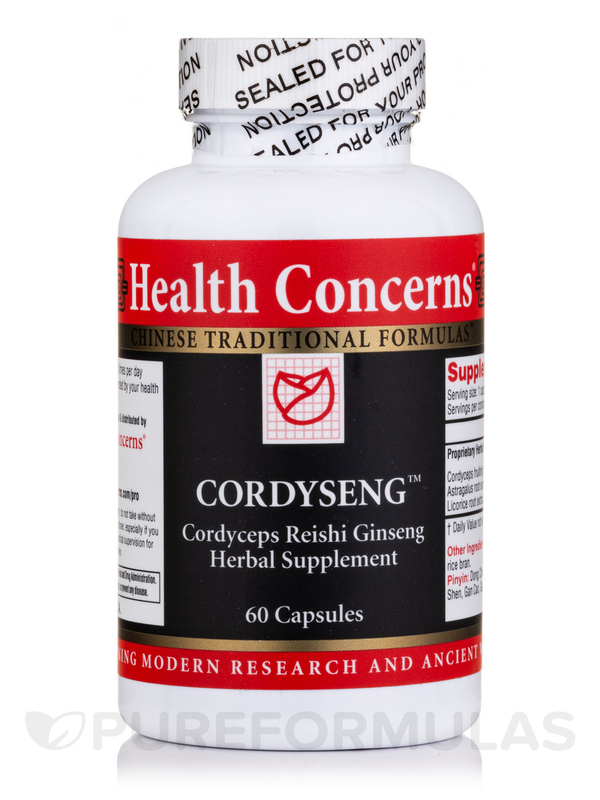 One bottle of Health Concerns’ CordySeng contains 60 tablets‚ which should last between one to four weeks‚ depending on your dosage. Take one to three tablets two to three times a day‚ unless otherwise directed by your doctor. Cordyceps fruiting body‚ Red Ganoderma (reishi) fruiting body‚ Astragalus root‚ American Ginseng root‚ Licorice root‚ Ginger rhizome. Other Ingredients: Vegetable Gum‚ Silicon Dioxide‚ Stearic Acid‚ Cellulose. Pin Yin: Dong Chong Xia Cao‚ Ling Zhi‚ Huang Qi‚ Xi Yang Shen‚ Gan Cao‚ Gan Jiang. 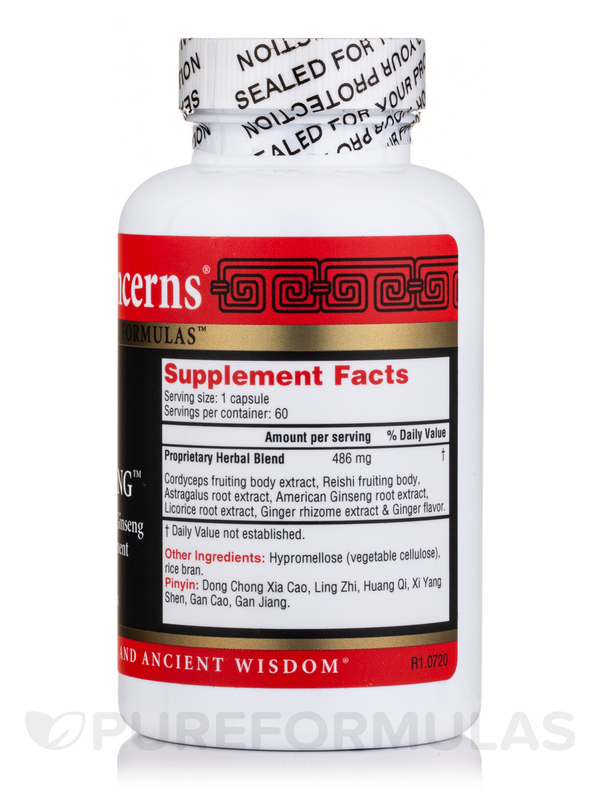 One to three tablets‚ 2-3 times per day between meals.